The Avengers comes out May 4. Nerd Lunch, Cavalcade of Awesome and to the escape hatch! are counting down to the big day with a series of posts dedicated to all things Avengers. Below is our look at The Incredible Hulk and you can check out the first two installments of our series here and here. Enjoy! 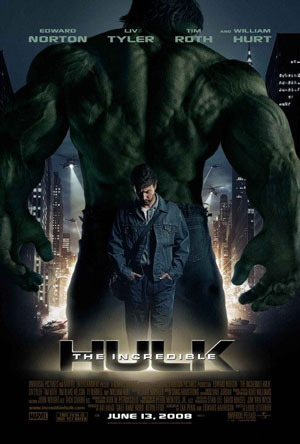 Louis Letterier's The Incredible Hulk isn't a perfect film, but it succeeds because of capable directing, a good cast led by Edward Norton, and great special effects. I can remember being really excited for 2003's Hulk, directed by Ang Lee and starring Eric Bana. Seriously. I remember seeing a trailer for the flick in 2002 and wondering if the film would ever arrive. Flash forward a year shy of a decade and not only did we get Hulk but this film as well. I could talk about how this film succeeded where the 2003 version failed, but I don't think that's the case (and I don't really think the 2003 version failed for that matter). Both films have their strong points, but at the end of the day, in the space of nine years, we're coming up on the third incarnation of the Hulk character. In a nutshell, it feels like this film, despite all the great things going for it, is probably the weak link in The Avengers chain. I think this version was trying to ditch some of the brainy, lofty stuff from the '03 version and give us more HULKSMASH!!! And that's okay. Norton is always great, more so when he's working on projects that he actually wants to be involved with, which was clearly the case here. He had a passion of sorts for this film, even going so far as rewriting the script. As far as the rest of the cast, Liv Tyler as Betty Ross was definitely acceptable and, while he’s no Sam Elliott (Elliott’s ‘stache should probably have its own SAG card) William Hurt turns in a fine performance as General “Thunderbolt” Ross. The film ends on a strange note, with Banner seemingly transforming into the Hulk and getting a kick out of it. I'm not sure the filmmakers knew exactly what they wanted to do with the character and maybe they knew that the future of the franchise was uncertain. The Incredible Hulk is a great film to review for this series, since it’s the first film that really starts building up the shared universe of The Avengers. Right off the bat, the beginning credit sequence is scattered with references to Iron Man – Stark Industries blue prints and technology pop up amidst scenes of the military searching for Banner. Tony Stark appears at the end of the film to speak with General Ross. And the Hulk's campus battle with Ross' troops end up figuring into the connections later on, but we'll talk about that another time. Rather than just refer to Iron Man, however, TIH takes it one step further – it shares quite a few connections with Captain America, a film that hadn’t even started pre-production at that point. Emil Blonsky as The Abomination was fueled by the same super soldier serum that made Steve Rogers the hero that we now know and love. And although it’s a deleted scene, you can supposedly see Cap frozen in the ice when Banner tries to off himself in the Antarctic. And about that scene Stark shares with General Ross. To my knowledge, this is the only film that doesn't have a post-credits sequence. Instead, they had Tony Stark show up at the end of the film, before the credits rolled. I think this is a testament to the filmmakers' goal of building the shared universe. They really wanted the audience to know that they were weaving a greater story here, so they showed us Stark before the credits rolled, making it a bigger part of the story and ensuring that everyone caught it. How Will The Hulk fit Into The Avengers? This is kind of a sore subject for me because I'm disappointed that Norton won't be in The Avengers. I think he did a great job as Banner/Hulk, and I think he would have played off Robert Downey Jr. perfectly. The Incredible Hulk probably isn’t my favorite “Avengers Universe” film – if anything, it probably ties with Thor – but I am in a way the most interested to see how The Hulk fits into this movie. 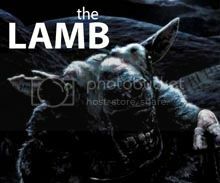 He’s essentially a monster and, as I mentioned earlier, his last film saw him emerging from Banner almost triumphantly. The only person we’ve really seen him interact on a human level with is Betty Ross. How will he interact with the rest of the team? How will the film handle him working with Iron Man, Captain America, Thor, etc.? Will the Hulk understand that some of the puny humans around him are his friends and teammates? I'm wondering how Banner as a character will fit into the film as well. He'd have every right to feel like an outsider in the group. I'm sure the rest of the team feels like they have gifts, whereas Banner feels like he's burdened with a curse. One last thing – as we all know, we’ve had a different actor portray Bruce Banner in the ’03 and ’08 versions and now we’ll have a third with Mark Ruffalo. Similarly, the physical appearance of The Hulk has changed over the years as well. What The Avenger’s Hulk looks like compared to Ang Lee’s Hulk might not matter, but this new version looks different from his 2008 counterpart as well. Strange that the filmmakers wouldn't have kept the same appearance. I really enjoy this movie and wish it had been more successful so that it would merit a further expansion of the Hulk characters in sequels. In particular, the Leader is set up for a sequel as a villain. It also seems to be something that Marvel Studios is somewhat overlooking. With Ed Norton not returning in the role, the Hulk design changing, and neither of the Ross characters appearing, there is almost nothing to truly connect this movie to the Avengers. While audiences can and will accept the cast change, this will require a bit more time in The Avengers devoted to establishing Ruffalo as Banner. Time that I would have preferred be spent elsewhere honestly. It is also worth noting that there are several references to the Bixby TV show in this. I mentioned the TV show before in my "Before the Avengers Initiative" post. In the origin sequence, there are two direct homages to the TV show. The equipment resembles what was used by Bixby and the flashing "danger" light was the first shot of the intro. Bixby appears while Norton's Banner watches TV. A few bars of the TV show theme play while Banner strolls through town in a post-Hulk scene. A reporter named Jack McGee is reporting on the fight on the campus. And finally, an emphasis is placed on Banner's eyes before he makes his transformation into the Hulk. I too was a big fan of this movie. I saw it twice in the theater and wished it had made a bigger splash in the box office. As a consequence, I too am a bit disappointed that Norton is not Banner in the Avengers movie. It will definitely take a bit of getting used to. If the Ultimates 2 series is any indication, the Hulk will have some of Banner's cognitive abilities. He's a separate entity, but he knows some of Banner's experiences and feelings. Btw, I do NOT like that they changed the look of the Hulk in the Avengers trailer. I absolutely love the Incredible Hulk model and thought it was perfect. @Pax - now that the third trailer hit and I've seen a little bit more of Ruffalo in action, I don't think I'll have any problems with him. That being said, I'd still like to see Norton reprise the role. And I can see the filmmakers changing the look of the other characters, such as costumes/hair/whatever, but the Hulk looks fundamentally different. The previous Hulk was a little leaner (if that's possible) and the green is different. Weird to change his appearance a third time. Yeah, I think Ruffalo will do fine, I just really liked Norton. And I got a better look at Hulk in the international trailer and it looks much better than I thought. However, I still really like the Incredible Hulk verison. And can we talk about how bad the Cap costume looks? WTF happened there? Yeah someone dropped the ball on Cap's costume. I think it's mostly the mask/helmet. Hopefully he leaves that thing off for most of the movie. I would've liked for Edward Norton to reprise his role, but I do hope Mark Ruffalo does just as good (if not better) and manages to stay on as The Hulk for more than one film. A great Marvel film, of The Avengers films, i'd say this was the second least bottom, Iron Man 2 is bottom, but I gave them both 4/5. Here's to The Avengers. @Rodders - Agreed on Norton. I wonder how Eric Bana feels about all this?? IM2 definitely isn't my favorite either. Still a decent film. I hope the third one does well. Shane Black directing should be interesting.